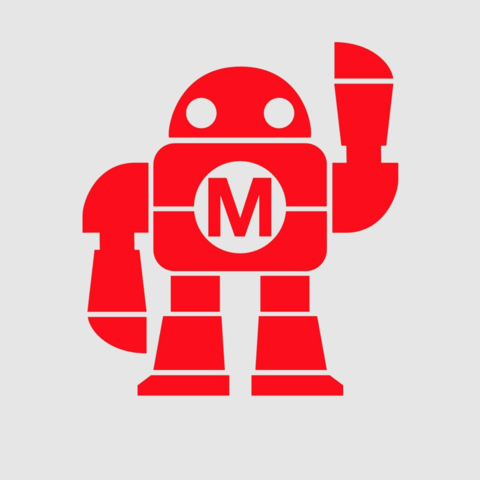 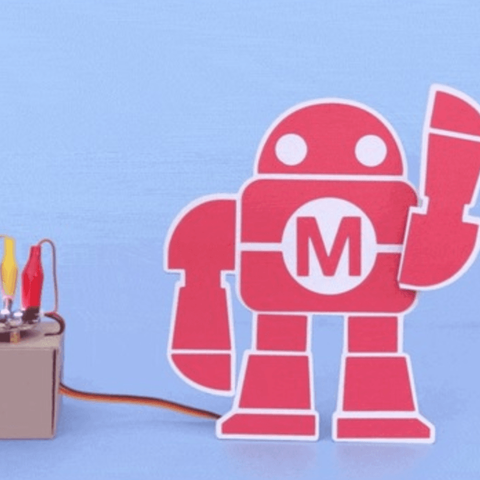 This paper craft Makey is perfect for setting up at your maker fair booth or any event! 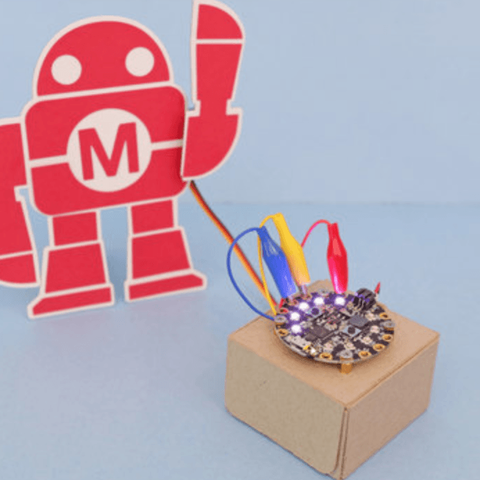 we can make this completely out of card stock or card board! 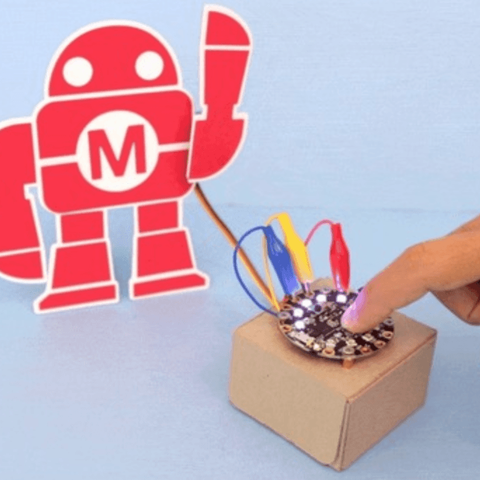 Connect a micro servo to enable waving action to greet an audience!